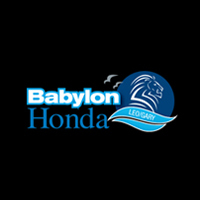 West Islip and Lindenhurst drivers looking for a reliable compact SUV with excellent fuel economy and high-tech features like satellite radio, all for a great price, consider a used Honda CR-V at Babylon Honda. Browse our quality used CR-V inventory below then schedule a test drive to take one out for a spin! 2014 Honda CR-V LX Certified. Priced below KBB Fair Purchase Price! Clean CARFAX. CARFAX One-Owner. 22/30 City/Highway MPG AWD. Awards: * ALG Residual Value Awards * 2014 KBB.com Brand Image Awards 2016 Kelley Blue Book Brand Image Awards are based on the Brand Watch(tm) study from Kelley Blue Book Market Intelligence. Award calculated among non-luxury shoppers. For more information, visit www.kbb.com. Kelley Blue Book is a registered trademark of Kelley Blue Book Co., Inc. Honda CERTIFIED---- BAD CREDIT--CHALLENGED CREDIT--NO CREDIT-- NO PROBLEM-- Honda Certified Pre-Owned Details: * Transferable Warranty * Roadside Assistance with Honda Care purchase * Powertrain Limited Warranty: 84 Month/100,000 Mile (whichever comes first) from original in-service date * Limited Warranty: 12 Month/12,000 Mile (whichever comes first) after new car warranty expires or from certified purchase date * Vehicle History * Warranty Deductible: $0 * 182 Point Inspection Advertised offer to those who finance through the dealership. Banks like to see a $1995 down payment for preferred financing. Internet pricing is reflective of $1995. All prices exclude dealer prep, sales tax, title and tags. 2015 Honda CR-V EX-L Priced below KBB Fair Purchase Price! Clean CARFAX. CARFAX One-Owner. 26/33 City/Highway MPG AWD. Awards: * 2015 KBB.com Brand Image Awards 2016 Kelley Blue Book Brand Image Awards are based on the Brand Watch(tm) study from Kelley Blue Book Market Intelligence. Award calculated among non-luxury shoppers. For more information, visit www.kbb.com. Kelley Blue Book is a registered trademark of Kelley Blue Book Co., Inc. Honda CERTIFIED---- BAD CREDIT--CHALLENGED CREDIT--NO CREDIT-- NO PROBLEM-- Advertised offer to those who finance through the dealership. Banks like to see a $1995 down payment for preferred financing. Internet pricing is reflective of $1995. All prices exclude dealer prep, sales tax, title and tags. 2015 Honda CR-V EX-L Certified. Priced below KBB Fair Purchase Price! Clean CARFAX. CARFAX One-Owner. 26/33 City/Highway MPG AWD. Awards: * 2015 KBB.com Brand Image Awards 2016 Kelley Blue Book Brand Image Awards are based on the Brand Watch(tm) study from Kelley Blue Book Market Intelligence. Award calculated among non-luxury shoppers. For more information, visit www.kbb.com. Kelley Blue Book is a registered trademark of Kelley Blue Book Co., Inc. Honda CERTIFIED---- BAD CREDIT--CHALLENGED CREDIT--NO CREDIT-- NO PROBLEM-- Honda Certified Pre-Owned Details: * Limited Warranty: 12 Month/12,000 Mile (whichever comes first) after new car warranty expires or from certified purchase date * Powertrain Limited Warranty: 84 Month/100,000 Mile (whichever comes first) from original in-service date * Roadside Assistance with Honda Care purchase * 182 Point Inspection * Warranty Deductible: $0 * Transferable Warranty * Vehicle History Advertised offer to those who finance through the dealership. Banks like to see a $1995 down payment for preferred financing. Internet pricing is reflective of $1995. All prices exclude dealer prep, sales tax, title and tags. 2015 Honda CR-V EX-L Certified. Priced below KBB Fair Purchase Price! Clean CARFAX. CARFAX One-Owner. 26/33 City/Highway MPG Odometer is 4505 miles below market average! AWD. Awards: * 2015 KBB.com Brand Image Awards 2016 Kelley Blue Book Brand Image Awards are based on the Brand Watch(tm) study from Kelley Blue Book Market Intelligence. Award calculated among non-luxury shoppers. For more information, visit www.kbb.com. Kelley Blue Book is a registered trademark of Kelley Blue Book Co., Inc. Honda CERTIFIED---- BAD CREDIT--CHALLENGED CREDIT--NO CREDIT-- NO PROBLEM-- Honda Certified Pre-Owned Details: * 182 Point Inspection * Roadside Assistance with Honda Care purchase * Warranty Deductible: $0 * Powertrain Limited Warranty: 84 Month/100,000 Mile (whichever comes first) from original in-service date * Vehicle History * Limited Warranty: 12 Month/12,000 Mile (whichever comes first) after new car warranty expires or from certified purchase date * Transferable Warranty Advertised offer to those who finance through the dealership. Banks like to see a $1995 down payment for preferred financing. Internet pricing is reflective of $1995. All prices exclude dealer prep, sales tax, title and tags. 2015 Honda CR-V EX Certified. Priced below KBB Fair Purchase Price! Clean CARFAX. CARFAX One-Owner. 26/33 City/Highway MPG Odometer is 23169 miles below market average! AWD. Awards: * Motor Trend Automobiles of the year * 2015 IIHS Top Safety Pick+ (With Touring Model) * 2015 KBB.com Brand Image Awards 2016 Kelley Blue Book Brand Image Awards are based on the Brand Watch(tm) study from Kelley Blue Book Market Intelligence. Award calculated among non-luxury shoppers. For more information, visit www.kbb.com. Kelley Blue Book is a registered trademark of Kelley Blue Book Co., Inc. Honda CERTIFIED---- BAD CREDIT--CHALLENGED CREDIT--NO CREDIT-- NO PROBLEM-- Honda Certified Pre-Owned Details: * Powertrain Limited Warranty: 84 Month/100,000 Mile (whichever comes first) from original in-service date * Roadside Assistance with Honda Care purchase * 182 Point Inspection * Warranty Deductible: $0 * Transferable Warranty * Limited Warranty: 12 Month/12,000 Mile (whichever comes first) after new car warranty expires or from certified purchase date * Vehicle History Advertised offer to those who finance through the dealership. Banks like to see a $1995 down payment for preferred financing. Internet pricing is reflective of $1995. All prices exclude dealer prep, sales tax, title and tags. 2014 Honda CR-V EX Certified. Clean CARFAX. CARFAX One-Owner. 22/30 City/Highway MPG Odometer is 11059 miles below market average! AWD. Awards: * ALG Residual Value Awards * 2014 KBB.com Brand Image Awards 2016 Kelley Blue Book Brand Image Awards are based on the Brand Watch(tm) study from Kelley Blue Book Market Intelligence. Award calculated among non-luxury shoppers. For more information, visit www.kbb.com. Kelley Blue Book is a registered trademark of Kelley Blue Book Co., Inc. Honda CERTIFIED---- BAD CREDIT--CHALLENGED CREDIT--NO CREDIT-- NO PROBLEM-- Honda Certified Pre-Owned Details: * Powertrain Limited Warranty: 84 Month/100,000 Mile (whichever comes first) from original in-service date * 182 Point Inspection * Limited Warranty: 12 Month/12,000 Mile (whichever comes first) after new car warranty expires or from certified purchase date * Transferable Warranty * Warranty Deductible: $0 * Vehicle History * Roadside Assistance with Honda Care purchase Advertised offer to those who finance through the dealership. Banks like to see a $1995 down payment for preferred financing. Internet pricing is reflective of $1995. All prices exclude dealer prep, sales tax, title and tags. 2015 Honda CR-V EX-L Priced below KBB Fair Purchase Price! Clean CARFAX. CARFAX One-Owner. 26/33 City/Highway MPG Odometer is 5531 miles below market average! AWD. Awards: * 2015 KBB.com Brand Image Awards 2016 Kelley Blue Book Brand Image Awards are based on the Brand Watch(tm) study from Kelley Blue Book Market Intelligence. Award calculated among non-luxury shoppers. For more information, visit www.kbb.com. Kelley Blue Book is a registered trademark of Kelley Blue Book Co., Inc. Honda CERTIFIED---- BAD CREDIT--CHALLENGED CREDIT--NO CREDIT-- NO PROBLEM-- Advertised offer to those who finance through the dealership. Banks like to see a $1995 down payment for preferred financing. Internet pricing is reflective of $1995. All prices exclude dealer prep, sales tax, title and tags. 2014 Honda CR-V EX Certified. Clean CARFAX. 22/30 City/Highway MPG Odometer is 6053 miles below market average! AWD. Awards: * ALG Residual Value Awards * 2014 KBB.com Brand Image Awards 2016 Kelley Blue Book Brand Image Awards are based on the Brand Watch(tm) study from Kelley Blue Book Market Intelligence. Award calculated among non-luxury shoppers. For more information, visit www.kbb.com. Kelley Blue Book is a registered trademark of Kelley Blue Book Co., Inc. Honda CERTIFIED---- BAD CREDIT--CHALLENGED CREDIT--NO CREDIT-- NO PROBLEM-- Honda Certified Pre-Owned Details: * Warranty Deductible: $0 * Transferable Warranty * Vehicle History * Roadside Assistance with Honda Care purchase * 182 Point Inspection * Powertrain Limited Warranty: 84 Month/100,000 Mile (whichever comes first) from original in-service date * Limited Warranty: 12 Month/12,000 Mile (whichever comes first) after new car warranty expires or from certified purchase date Advertised offer to those who finance through the dealership. Banks like to see a $1995 down payment for preferred financing. Internet pricing is reflective of $1995. All prices exclude dealer prep, sales tax, title and tags. 2016 Honda CR-V EX Certified. Priced below KBB Fair Purchase Price! Clean CARFAX. CARFAX One-Owner. 25/31 City/Highway MPG Odometer is 10493 miles below market average! AWD. Awards: * ALG Residual Value Awards * 2016 IIHS Top Safety Pick+ (With Touring Model) * 2016 KBB.com Brand Image Awards 2016 Kelley Blue Book Brand Image Awards are based on the Brand Watch(tm) study from Kelley Blue Book Market Intelligence. Award calculated among non-luxury shoppers. For more information, visit www.kbb.com. Kelley Blue Book is a registered trademark of Kelley Blue Book Co., Inc. Honda CERTIFIED---- BAD CREDIT--CHALLENGED CREDIT--NO CREDIT-- NO PROBLEM-- Honda Certified Pre-Owned Details: * Vehicle History * Roadside Assistance with Honda Care purchase * Warranty Deductible: $0 * Limited Warranty: 12 Month/12,000 Mile (whichever comes first) after new car warranty expires or from certified purchase date * Powertrain Limited Warranty: 84 Month/100,000 Mile (whichever comes first) from original in-service date * Transferable Warranty * 182 Point Inspection Advertised offer to those who finance through the dealership. Banks like to see a $1995 down payment for preferred financing. Internet pricing is reflective of $1995. All prices exclude dealer prep, sales tax, title and tags. 2015 Honda CR-V Touring Certified. Priced below KBB Fair Purchase Price! CARFAX One-Owner. 26/33 City/Highway MPG AWD. Awards: * Motor Trend Automobiles of the year * 2015 IIHS Top Safety Pick+ (With Touring Model) * 2015 KBB.com Brand Image Awards 2016 Kelley Blue Book Brand Image Awards are based on the Brand Watch(tm) study from Kelley Blue Book Market Intelligence. Award calculated among non-luxury shoppers. For more information, visit www.kbb.com. Kelley Blue Book is a registered trademark of Kelley Blue Book Co., Inc. Honda CERTIFIED---- BAD CREDIT--CHALLENGED CREDIT--NO CREDIT-- NO PROBLEM-- Honda Certified Pre-Owned Details: * Transferable Warranty * Powertrain Limited Warranty: 84 Month/100,000 Mile (whichever comes first) from original in-service date * Warranty Deductible: $0 * Limited Warranty: 12 Month/12,000 Mile (whichever comes first) after new car warranty expires or from certified purchase date * Vehicle History * Roadside Assistance with Honda Care purchase * 182 Point Inspection Advertised offer to those who finance through the dealership. Banks like to see a $1995 down payment for preferred financing. Internet pricing is reflective of $1995. All prices exclude dealer prep, sales tax, title and tags. 2015 Honda CR-V EX-L Certified. Priced below KBB Fair Purchase Price! Clean CARFAX. CARFAX One-Owner. 26/33 City/Highway MPG Odometer is 7452 miles below market average! AWD. Awards: * 2015 KBB.com Brand Image Awards 2016 Kelley Blue Book Brand Image Awards are based on the Brand Watch(tm) study from Kelley Blue Book Market Intelligence. Award calculated among non-luxury shoppers. For more information, visit www.kbb.com. Kelley Blue Book is a registered trademark of Kelley Blue Book Co., Inc. Honda CERTIFIED---- BAD CREDIT--CHALLENGED CREDIT--NO CREDIT-- NO PROBLEM-- Honda Certified Pre-Owned Details: * Transferable Warranty * Powertrain Limited Warranty: 84 Month/100,000 Mile (whichever comes first) from original in-service date * Limited Warranty: 12 Month/12,000 Mile (whichever comes first) after new car warranty expires or from certified purchase date * Warranty Deductible: $0 * 182 Point Inspection * Vehicle History * Roadside Assistance with Honda Care purchase Advertised offer to those who finance through the dealership. Banks like to see a $1995 down payment for preferred financing. Internet pricing is reflective of $1995. All prices exclude dealer prep, sales tax, title and tags. 2015 Honda CR-V EX Certified. Clean CARFAX. CARFAX One-Owner. 26/33 City/Highway MPG Odometer is 28817 miles below market average! AWD. Awards: * Motor Trend Automobiles of the year * 2015 IIHS Top Safety Pick+ (With Touring Model) * 2015 KBB.com Brand Image Awards 2016 Kelley Blue Book Brand Image Awards are based on the Brand Watch(tm) study from Kelley Blue Book Market Intelligence. Award calculated among non-luxury shoppers. For more information, visit www.kbb.com. Kelley Blue Book is a registered trademark of Kelley Blue Book Co., Inc. Honda CERTIFIED---- BAD CREDIT--CHALLENGED CREDIT--NO CREDIT-- NO PROBLEM-- Honda Certified Pre-Owned Details: * Limited Warranty: 12 Month/12,000 Mile (whichever comes first) after new car warranty expires or from certified purchase date * Roadside Assistance with Honda Care purchase * Transferable Warranty * Warranty Deductible: $0 * Vehicle History * 182 Point Inspection * Powertrain Limited Warranty: 84 Month/100,000 Mile (whichever comes first) from original in-service date Advertised offer to those who finance through the dealership. Banks like to see a $1995 down payment for preferred financing. Internet pricing is reflective of $1995. All prices exclude dealer prep, sales tax, title and tags. 2015 Honda CR-V Touring Priced below KBB Fair Purchase Price! Clean CARFAX. CARFAX One-Owner. 26/33 City/Highway MPG AWD. Awards: * Motor Trend Automobiles of the year * 2015 IIHS Top Safety Pick+ (With Touring Model) * 2015 KBB.com Brand Image Awards 2016 Kelley Blue Book Brand Image Awards are based on the Brand Watch(tm) study from Kelley Blue Book Market Intelligence. Award calculated among non-luxury shoppers. For more information, visit www.kbb.com. Kelley Blue Book is a registered trademark of Kelley Blue Book Co., Inc. Honda CERTIFIED---- BAD CREDIT--CHALLENGED CREDIT--NO CREDIT-- NO PROBLEM-- Advertised offer to those who finance through the dealership. Banks like to see a $1995 down payment for preferred financing. Internet pricing is reflective of $1995. All prices exclude dealer prep, sales tax, title and tags. 2017 Honda CR-V LX Certified. Priced below KBB Fair Purchase Price! Clean CARFAX. CARFAX One-Owner. 25/31 City/Highway MPG Odometer is 7400 miles below market average! AWD. Awards: * ALG Residual Value Awards * 2017 KBB.com Brand Image Awards * 2017 KBB.com 10 Most Awarded Brands 2016 Kelley Blue Book Brand Image Awards are based on the Brand Watch(tm) study from Kelley Blue Book Market Intelligence. Award calculated among non-luxury shoppers. For more information, visit www.kbb.com. Kelley Blue Book is a registered trademark of Kelley Blue Book Co., Inc. Honda CERTIFIED---- BAD CREDIT--CHALLENGED CREDIT--NO CREDIT-- NO PROBLEM-- Honda Certified Pre-Owned Details: * Transferable Warranty * Limited Warranty: 12 Month/12,000 Mile (whichever comes first) after new car warranty expires or from certified purchase date * Powertrain Limited Warranty: 84 Month/100,000 Mile (whichever comes first) from original in-service date * 182 Point Inspection * Roadside Assistance with Honda Care purchase * Vehicle History * Warranty Deductible: $0 Advertised offer to those who finance through the dealership. Banks like to see a $1995 down payment for preferred financing. Internet pricing is reflective of $1995. All prices exclude dealer prep, sales tax, title and tags. 2016 Honda CR-V EX Recent Arrival! Certified. Clean CARFAX. CARFAX One-Owner. 25/31 City/Highway MPG AWD. Awards: * 2016 IIHS Top Safety Pick+ (With Touring Model) * ALG Residual Value Awards * 2016 KBB.com Brand Image Awards 2016 Kelley Blue Book Brand Image Awards are based on the Brand Watch(tm) study from Kelley Blue Book Market Intelligence. Award calculated among non-luxury shoppers. For more information, visit www.kbb.com. Kelley Blue Book is a registered trademark of Kelley Blue Book Co., Inc. Honda CERTIFIED---- BAD CREDIT--CHALLENGED CREDIT--NO CREDIT-- NO PROBLEM-- Honda Certified Pre-Owned Details: * Roadside Assistance with Honda Care purchase * Vehicle History * Powertrain Limited Warranty: 84 Month/100,000 Mile (whichever comes first) from original in-service date * Limited Warranty: 12 Month/12,000 Mile (whichever comes first) after new car warranty expires or from certified purchase date * 182 Point Inspection * Transferable Warranty * Warranty Deductible: $0 Advertised offer to those who finance through the dealership. Banks like to see a $1995 down payment for preferred financing. Internet pricing is reflective of $1995. All prices exclude dealer prep, sales tax, title and tags. 2017 Honda CR-V LX Certified. Priced below KBB Fair Purchase Price! Clean CARFAX. CARFAX One-Owner. 25/31 City/Highway MPG Odometer is 1385 miles below market average! AWD. Awards: * ALG Residual Value Awards * 2017 KBB.com Brand Image Awards * 2017 KBB.com 10 Most Awarded Brands 2016 Kelley Blue Book Brand Image Awards are based on the Brand Watch(tm) study from Kelley Blue Book Market Intelligence. Award calculated among non-luxury shoppers. For more information, visit www.kbb.com. Kelley Blue Book is a registered trademark of Kelley Blue Book Co., Inc. Honda CERTIFIED---- BAD CREDIT--CHALLENGED CREDIT--NO CREDIT-- NO PROBLEM-- Honda Certified Pre-Owned Details: * Transferable Warranty * 182 Point Inspection * Vehicle History * Powertrain Limited Warranty: 84 Month/100,000 Mile (whichever comes first) from original in-service date * Roadside Assistance with Honda Care purchase * Limited Warranty: 12 Month/12,000 Mile (whichever comes first) after new car warranty expires or from certified purchase date * Warranty Deductible: $0 Advertised offer to those who finance through the dealership. Banks like to see a $1995 down payment for preferred financing. Internet pricing is reflective of $1995. All prices exclude dealer prep, sales tax, title and tags. 2015 Honda CR-V Touring Certified. Priced below KBB Fair Purchase Price! Clean CARFAX. CARFAX One-Owner. 26/33 City/Highway MPG Odometer is 12045 miles below market average! AWD. Awards: * Motor Trend Automobiles of the year * 2015 IIHS Top Safety Pick+ (With Touring Model) * 2015 KBB.com Brand Image Awards 2016 Kelley Blue Book Brand Image Awards are based on the Brand Watch(tm) study from Kelley Blue Book Market Intelligence. Award calculated among non-luxury shoppers. For more information, visit www.kbb.com. Kelley Blue Book is a registered trademark of Kelley Blue Book Co., Inc. Honda CERTIFIED---- BAD CREDIT--CHALLENGED CREDIT--NO CREDIT-- NO PROBLEM-- Honda Certified Pre-Owned Details: * Roadside Assistance with Honda Care purchase * Limited Warranty: 12 Month/12,000 Mile (whichever comes first) after new car warranty expires or from certified purchase date * Transferable Warranty * Warranty Deductible: $0 * Vehicle History * 182 Point Inspection * Powertrain Limited Warranty: 84 Month/100,000 Mile (whichever comes first) from original in-service date Advertised offer to those who finance through the dealership. Banks like to see a $1995 down payment for preferred financing. Internet pricing is reflective of $1995. All prices exclude dealer prep, sales tax, title and tags. 2015 Honda CR-V Touring Certified. Priced below KBB Fair Purchase Price! Clean CARFAX. CARFAX One-Owner. 26/33 City/Highway MPG Odometer is 2058 miles below market average! AWD. Awards: * Motor Trend Automobiles of the year * 2015 IIHS Top Safety Pick+ (With Touring Model) * 2015 KBB.com Brand Image Awards 2016 Kelley Blue Book Brand Image Awards are based on the Brand Watch(tm) study from Kelley Blue Book Market Intelligence. Award calculated among non-luxury shoppers. For more information, visit www.kbb.com. Kelley Blue Book is a registered trademark of Kelley Blue Book Co., Inc. Honda CERTIFIED---- BAD CREDIT--CHALLENGED CREDIT--NO CREDIT-- NO PROBLEM-- Honda Certified Pre-Owned Details: * Vehicle History * Roadside Assistance with Honda Care purchase * Powertrain Limited Warranty: 84 Month/100,000 Mile (whichever comes first) from original in-service date * Transferable Warranty * Warranty Deductible: $0 * 182 Point Inspection * Limited Warranty: 12 Month/12,000 Mile (whichever comes first) after new car warranty expires or from certified purchase date Advertised offer to those who finance through the dealership. Banks like to see a $1995 down payment for preferred financing. Internet pricing is reflective of $1995. All prices exclude dealer prep, sales tax, title and tags. When you are ready to take home a pre-owned CR-V, use our handy payment calculator tool to estimate your monthly payments, then visit our Finance Center and our experts will help go over all your financing options.